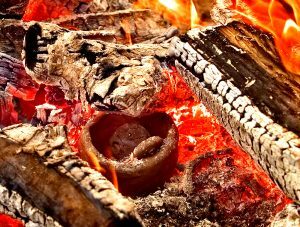 Winter time is a great time to do projects around the fire and what better project is there to do than pottery making, except maybe eating, LOL. 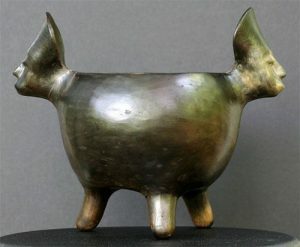 There are many types of pottery and many ways of producing it. 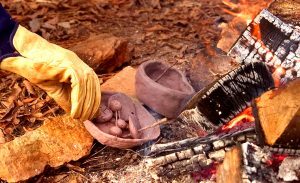 In a survival situation though the most practical form of pottery you can do is a technique used by the Catawba still practiced to this day. It is not glazed and can be produced with what you can find in the wild and only requires clay, sand and a good fire to fire the pottery. Of course the first thing you have to do is acquire some clay. Exposed river banks and washed out ditches are good sources. The clay must be elastic in nature otherwise it is just mud. Steve Watts taught me how to test the clay whether it is good for pottery and showed me most of what I know about producing this kind of pottery. First you roll out a ‘snake’ then you pinch the ‘snake’ into a circle. Then you place it on your finger and bounce it ever so slightly. 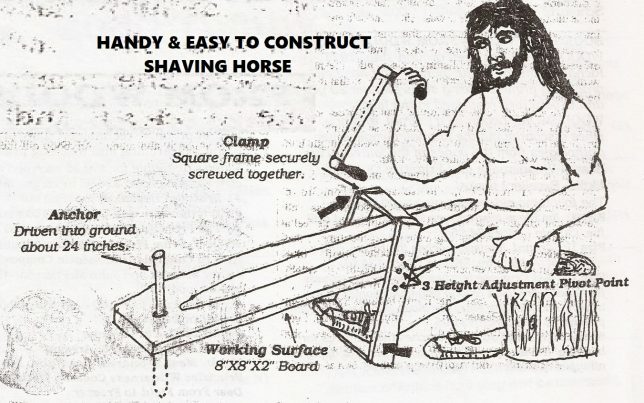 If it stays together it is probably a good candidate. The clay should then be cleaned out of any debris. The clay should then be kneaded squeezing out all the air that you can. Flatten out a piece of clay then add temper to it. The temper to use is sand. It is the temper that melts and bonds itself to the clay turning it into pottery. Add 25% sand to the clay. Work the sand into the clay. 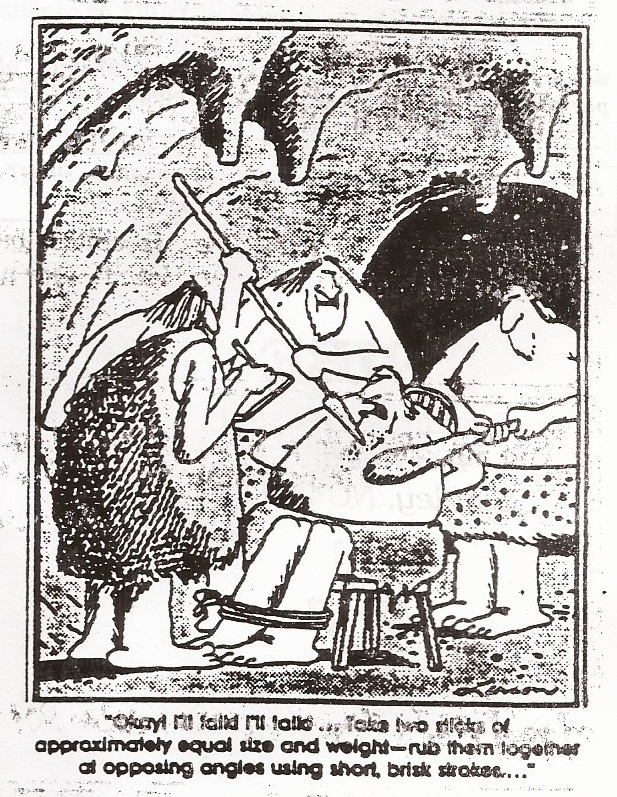 This is a very important stage of producing pottery. Really work that sand into the clay as well as working out all the air pockets in the sand. Air pockets in clay will cause a pot to explode in the firing process. Small objects may be produced as well as pottery, items like beads, medallions and pipes. Beads are pretty simple to produce. Just roll some tempered clay into a ball and insert a stick or straw through the middle where you want the hole to be. You can actually place several beads on one stick. Decorate the beads and leave the stick in. It will burn up when they are fired. 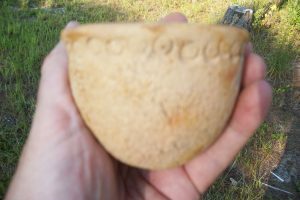 This pot is more of a drinking cup size but it does illustrate the conical shape of a cooking pot. The pot is most easily formed by just coiling the clay. Each coil should be scored and then smoothed out. It is important that there be no air pockets that can heat and explode later when it is fired. 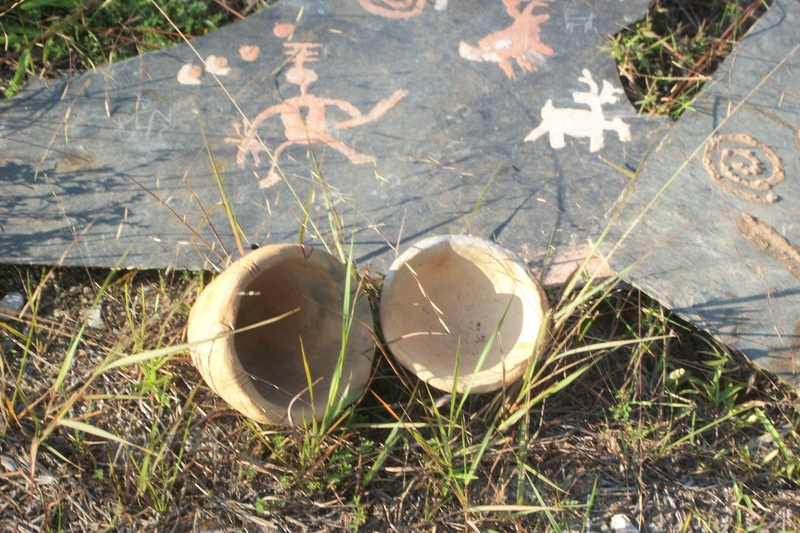 The pieces in the pictures above are very beautiful and artistic and have their purposes but the everyday cooking pot was usually a conical shaped pot that had to be propped up in the cooking fire. 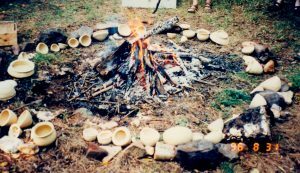 It was marked by beating the exterior with corn cobs or paddles wrapped with cordage. It has been theorized that these markings actually helped to distribute the heat evenly when cooking. See the picture for an example of a small cooking pot with these markings that I made. The next step is to let the pot dry. Don’t dry it in the sun it will dry unevenly and crack. It is really a good idea to let it dry several days. All moisture must be dried out of the pot or when it is fired it will explode. 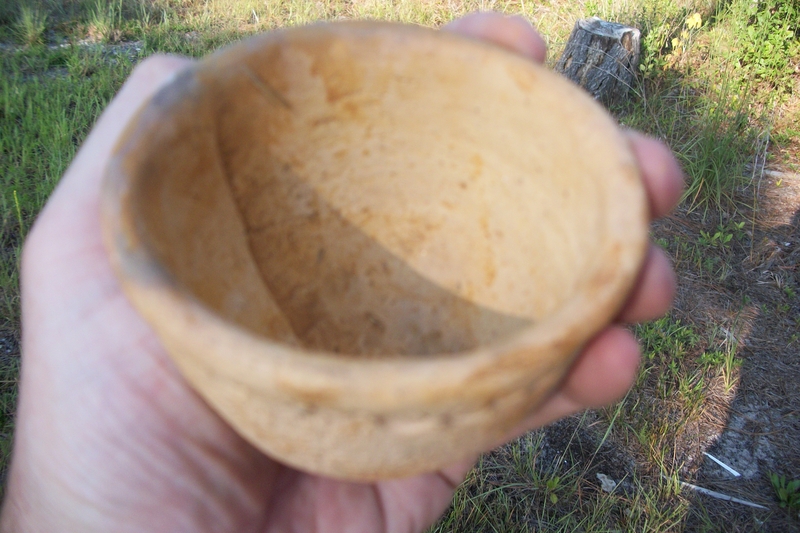 However, tiny pinch pots may be formed, dried and fired in the same day if that is what you need. Applique may also be applied like a decorative rim pressed onto the pot. Just be sure to score wet clay before applying and smooth out well so there are no air pockets. Carefully placing dried pottery near fire for pre-heating. You then want to slowly, carefully pre-heat the pottery by placing it near a blazing fire. You may place small objects in the pots that you have made like beads, medallions and pipes. You slowly move it closer and turn it as evenly as possible watching for a noticeable color change. It is also important to shield your pottery from the wind and from any moisture dripping on them. Either of these can cause a finished pot to crack, pop off a spaul or even explode. Once you have a significant color change you carefully pile all your pots together and build a fire over them. Get a good-sized blazing fire going and then just wait and allow the fire to totally die down around the pots till there is nothing but ash left. Then leave the pots to cool down on their own slowly. 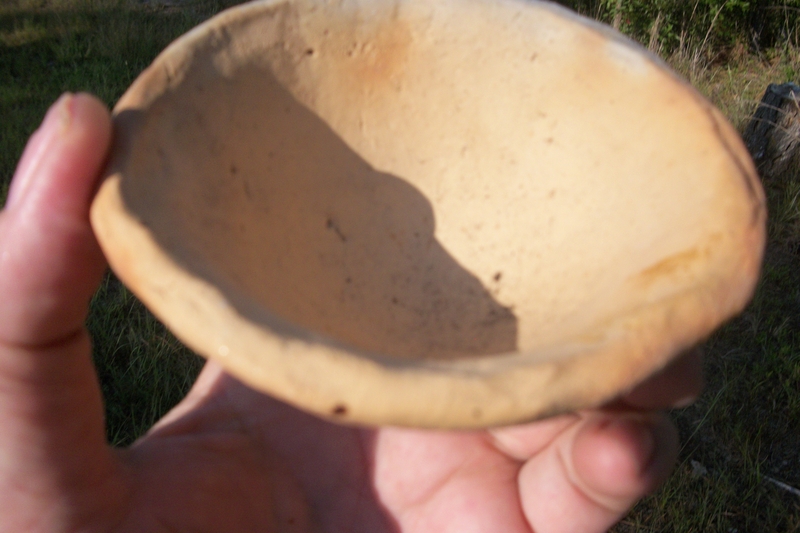 You also need to protect the hot pottery from wind and moisture during this phase. 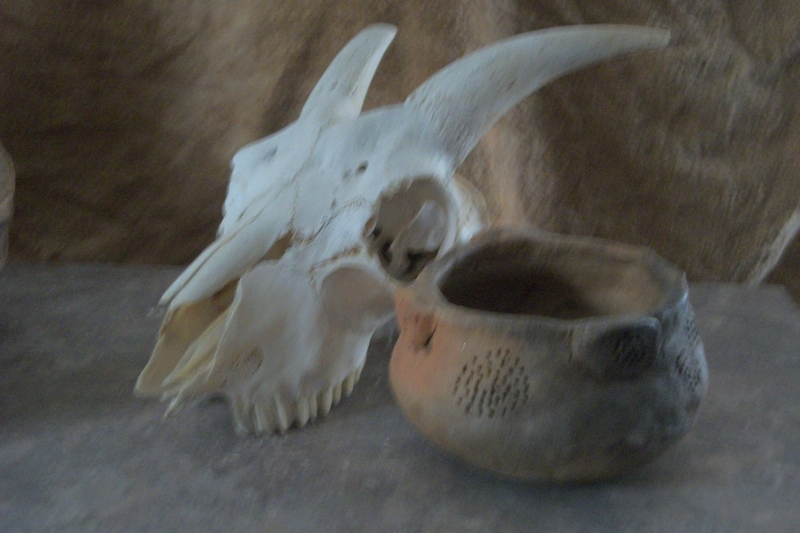 Once they are cool you sift through the ashes and find all your pots and trinkets, clean them off and use them as planned. When thumped they should ring like a bell! And don’t be discouraged if a few are cracked or destroyed. It happens. You will get better at it the more you do it. One should never grow too attached to anything they make till it comes out of the fire. Even though these pots are not glazed I love the myriad of earth tones and contrasts that appear on the surface as pigments in the clay and the oxidation process changes its color. No two are alike. 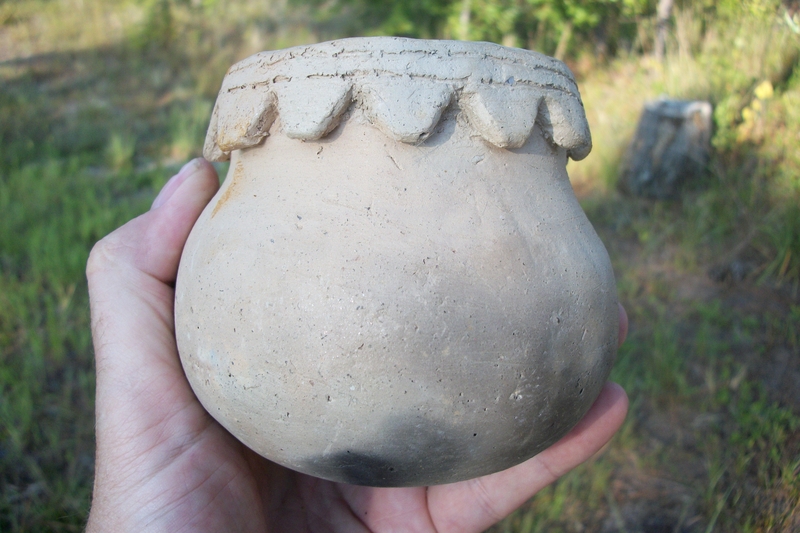 These type of pots may be made for decoration or practical use. They may be used for oil lamps or cooking in. 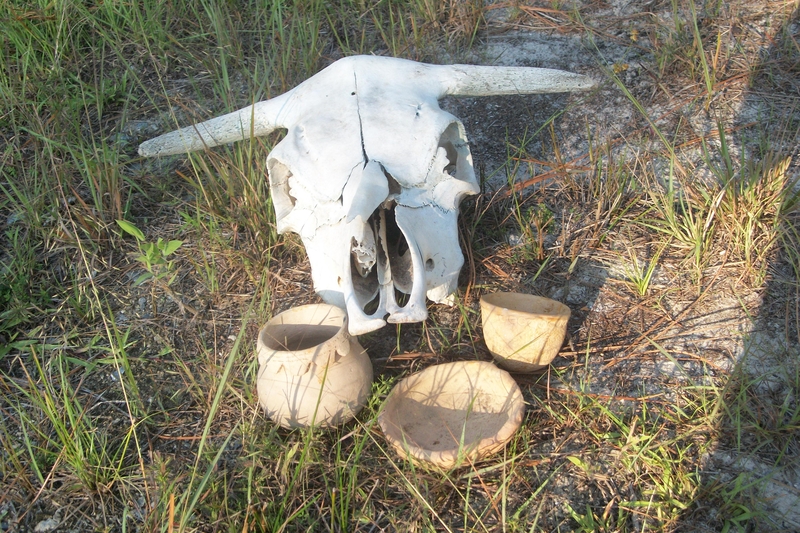 This is a great way to make pottery in the survival situation because it requires no kiln. SOME EXAMPLES OF THE MANY DIFFERENT TYPES OF POTTERY POSSIBLE. 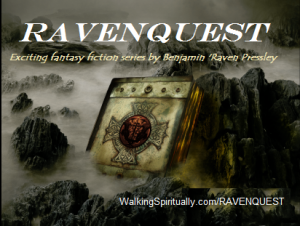 RAVENQUEST is an exciting fantasy action series written by Benjamin Raven Pressley. It is 7 volumes of family-friendly action and adventure. 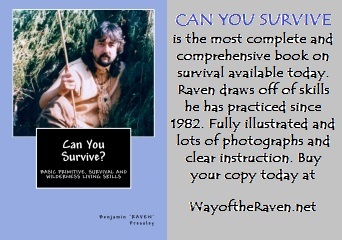 Available in paperback and e-book. 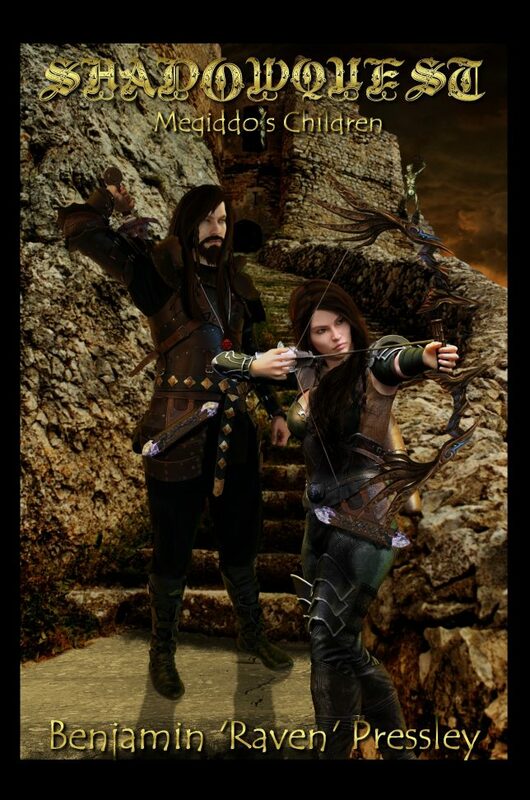 The exciting sequel series to RAVENQUEST has begun as the excitement continues in SHADOWQUEST. Be sure to read the RAVENQUEST series first though.